Hey there friend and Welcome aboard!! 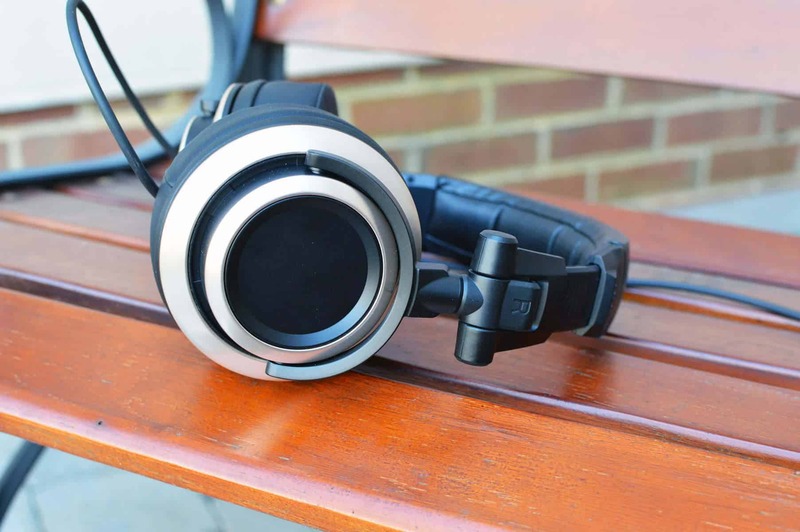 Before we get into the Status Audio CB 1 over ear headphones review, grab a snack, sit back and relax because..
Budget King #1: The open back Philips SHP9500 Review! 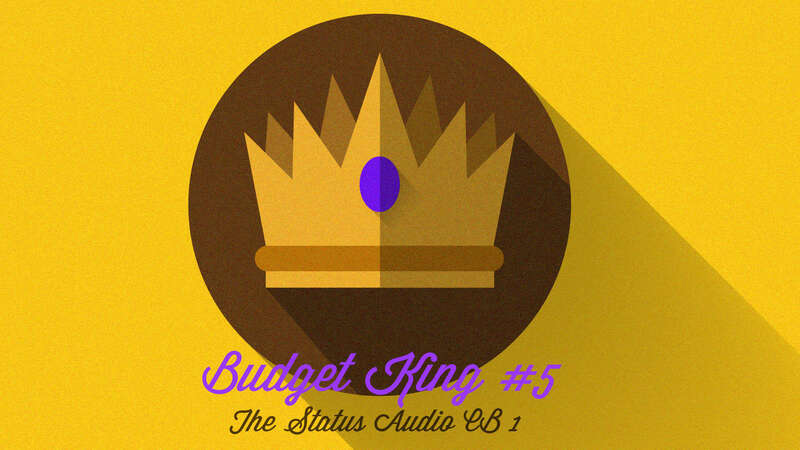 Budget King #2: The closed back Sony MDR V6 Review! Budget King #3: The closed back Audio Technica ATH M40x Review!! Budget King #4: The semi-open Samson SR850 Review!! Budget King #6: The open back Grado SR60e Review!! Why did I place this fifth? 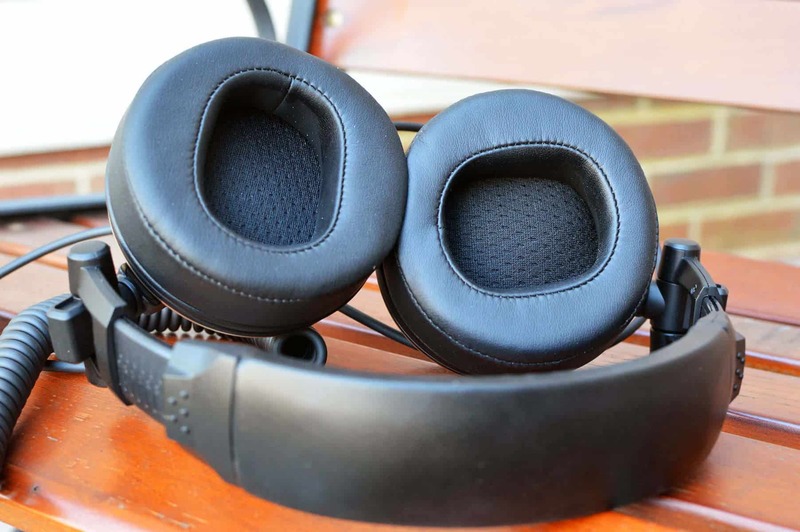 The CB 1 has a fantastic Soundstage, great instrument separation, and excellent comfort. What is Soundstage? What holds it back from the top spot is that the mid-range can sound sucked out at times, and it’s bass gets a bit flabby for me in certain instances. There’s also a weird sizzle in the treble, with a metallic quality similar to the 40x but a bit worse. The detachable cable is also quite tough to get out of it’s socket, so they were docked some points for that as well. They get fifth for these reasons, but still remain an excellent buy at their price because what they do well outshines what they don’t in my opinion. Build is also pretty good, as they aren’t quite as flimsy as an HD558. That said, they are ranked behind the 558’s because the sound signature is a bit more problematic in more areas. Overall, the inclusion of two detachable cables (a coiled and straight), some metal, a great Soundstage, fantastic instrument separation/detail, and an extremely sturdy 3.5mm termination make this an easy choice, along with the sound taken as a whole. Check Amazon! | Check eBay! Frequency Response: 15 Hz – 30 kHz. Impedance: 32 Ohm. 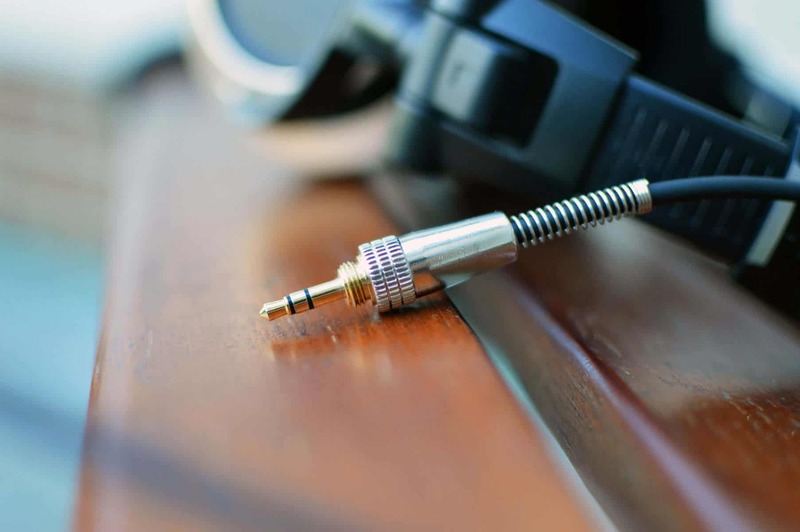 What is Headphone Impedance? Sensitivity: 97dB/mW. What is Sensitivity in Headphones? Cable Length: 3m. Comes with Coiled and Straight version. 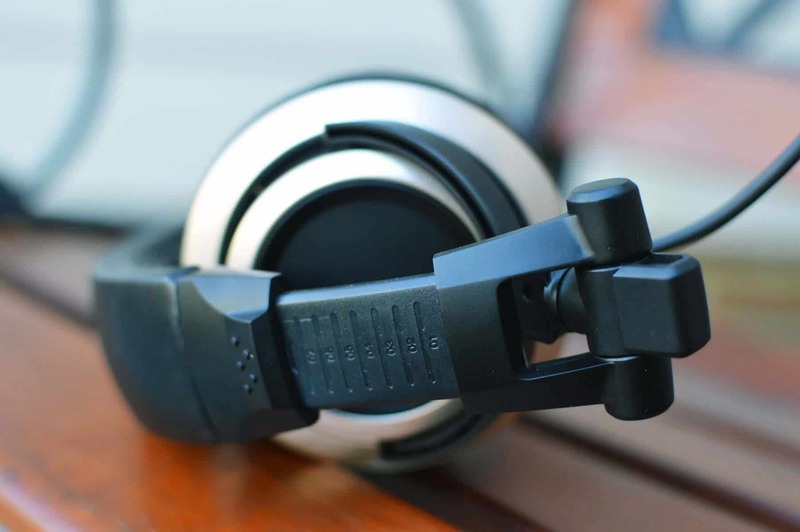 The Status Audio CB 1 is a closed back, circumaural headphone with a build and style that looks like a cross between an Audio Technica ATH M40x, an M50/50x, and a Sony MDR V6/7506. Closed back vs. Open back headphones. Both the fold and mechanism that holds the ear cup look identical to both the 40x and aforementioned Sony models. Also strangely enough, there’s not one hint of branding on the headphones, which I thought was weird. 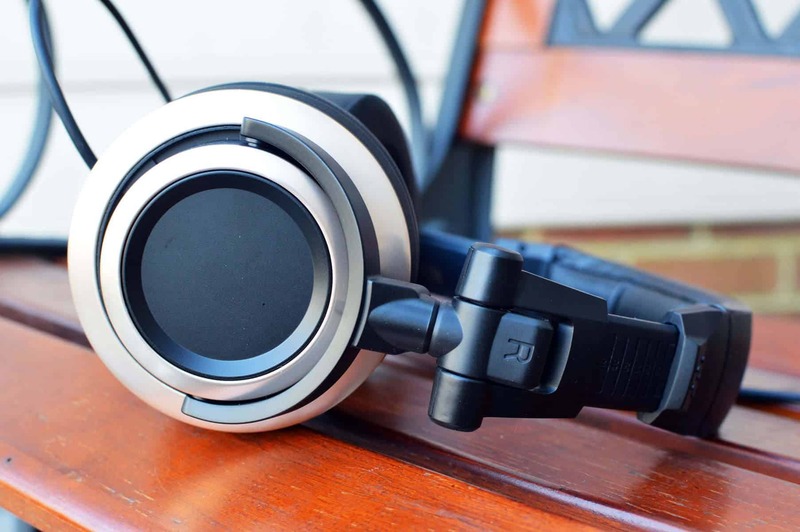 Learn more: Audio Technica ATH M40x Review! Learn more: Sony MDR V6 Review! 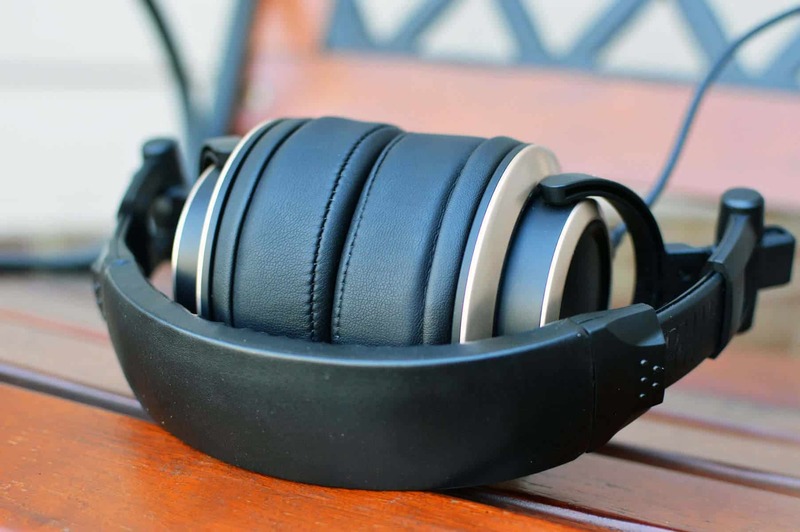 Learn more: Sony MDR 7506 Review! That said, out of the 3, the 40x feels the most solid in your hand, followed by the V6 and then the CB 1. The CB 1 doesn’t feel quite as cheap as say an AKG K240 Studio, but not quite as heavy/durable as a 40x. It kind of inhabits that middle ground, and feels about as good as it’s price would indicate. Learn more: AKG K240 Studio Review! What I also found really interesting is the 3.5mm jack. It’s nearly identical to the jack used on the original M50. Perhaps the greatest compliment they could make, as that jack was the best one I’ve personally ever come across, and to this day still holds up over 5 years later. I’m fully convinced that all headphones should employ it. 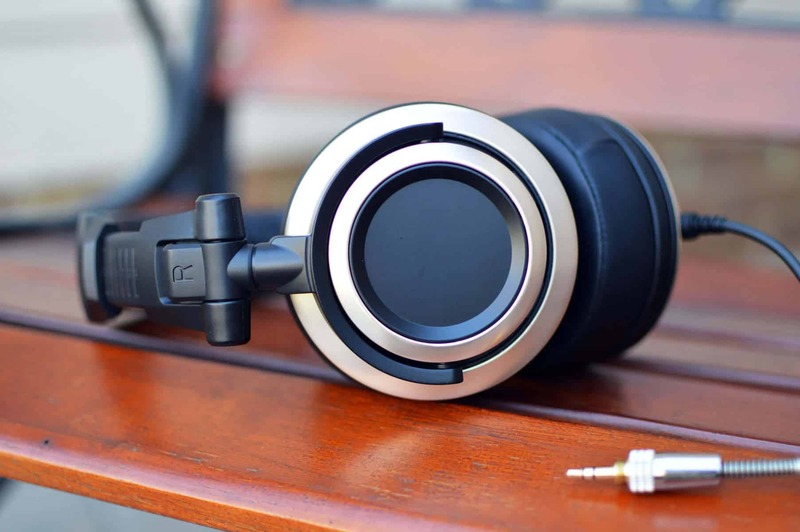 Learn more: Audio Technica ATH M50 Review! What I don’t like about the CB 1 is although it has a detachable cable, it’s extremely hard and cumbersome to get out, at least at first. As you’ll see in my video review/unboxing, I was having a tough time on camera, to the point of me thinking that it wasn’t even meant to come out, even though they do come with a straight and coiled version. I was able to finally pull it out, but it took me pulling from a lower point of leverage, which also left me uncomfortable. You should always be able to grab at the top (where you’re supposed to grab) and not have to resort to pulling from the thinner part of the wire if that makes sense. Your fingers are libel to hurt a bit after getting this beast out of it’s hole. What I do like about the coiled version of the CB 1’s cable is that the coil is more manageable than both the V6 and the 40x. The V6’s coil goes on for days, and will become tangled quite easily over a span of about 2 years. 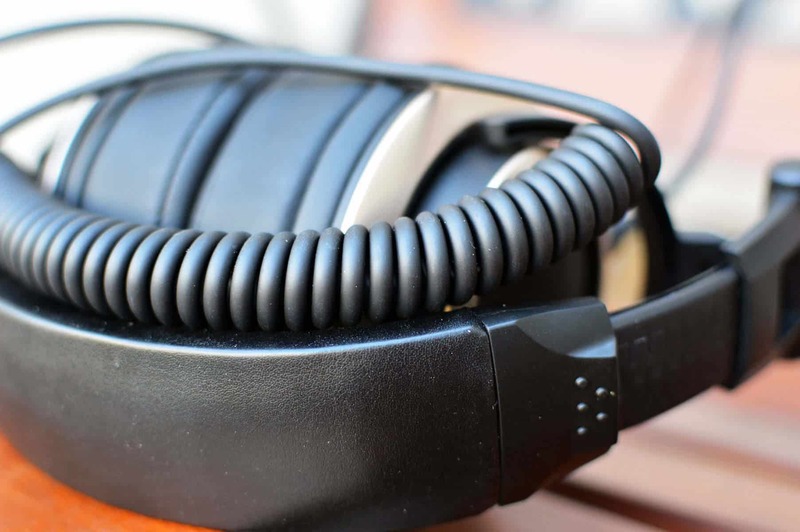 The M40x’s coil is a bit shorter, and the CB 1’s is the shortest. Ultimately, the build of the CB 1 overall is pretty good, but still ranks last among these 3 in a big picture analysis. This is where the CB 1 wins out by a small margin. The ear cups are extremely plush being that they are a soft and supple protein leather, with plenty of room to breathe. The cups are thick enough for the driver to stay away from your ears, and because the headphones are lighter, they make for a more comfortable fit over time. What is a headphone driver? 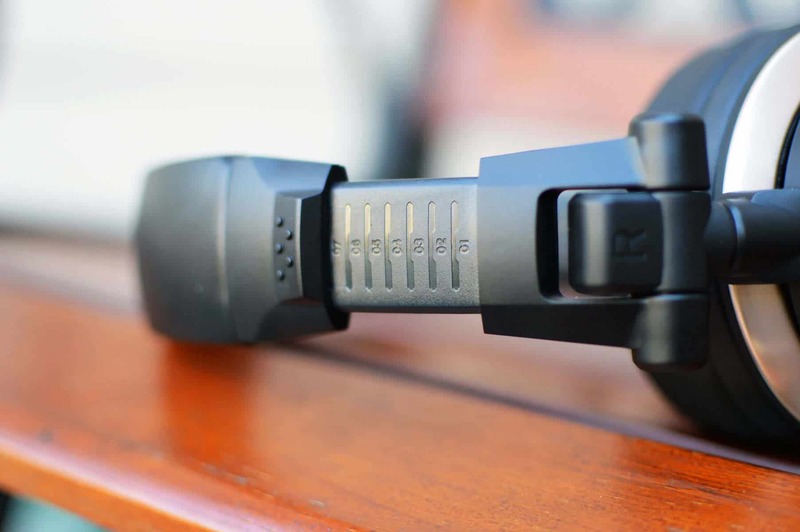 Both the 40x’s and V6’s clamp force is tighter than the CB1, with the 40x taking top spot as far as pressure goes. As far as sound is concerned, overall I do like it, but there are a few concerns. One is the mid-bass. There’s something a bit strange going on, and it comes across as a little bloated and forced. This also affects parts of the mid-range, as it seems a bit sucked out in spots, or pushed back (recessed). The third issue is that because of this weird mid-range, the treble can be metallic sounding at times, resulting in an essy character that’s a bit problematic. There are times when the CB1’s sound flat out awful, with a treble that’s not as piercing as it is just simply “Crumpled”, and yes, Sibilant as well. What does Sibilant mean? These aren’t bass light, but they’re also not a bass heads headphone. They don’t exactly lack impact, but what’s there seems a little weak sauce, with a layer of flab to speak of that reminds you of a chick that has a tire that she needs to get rid of with a bit of exercise and proper diet. In comparison to an M40x, the CB 1 seems stuffy and perhaps a bit forced, while the 40x feels crisper, and much more natural. The 40x’s achieve fantastic Timbre, especially for their price, with high hats and cymbals taking on a relaxed and realistic feel. What is Timbre? The CB 1’s feel like they’re trying to create a good atmosphere, but fall short, while the 40x’s are effortless about it. What I was ultimately confused about is that even though the CB 1’s sound isn’t as good as a 40x, the Soundstage and scope of the sound seemed larger. This confused me for a bit because I could hear plenty of nice detail, but still felt as though the mid range was lagging behind. Then I realized that the CB 1’s have 50mm drivers, which give off a grander overall vibe. These do indeed have a bit of a wider image than your typical closed back headphone, and it’s one of the best qualities about them. 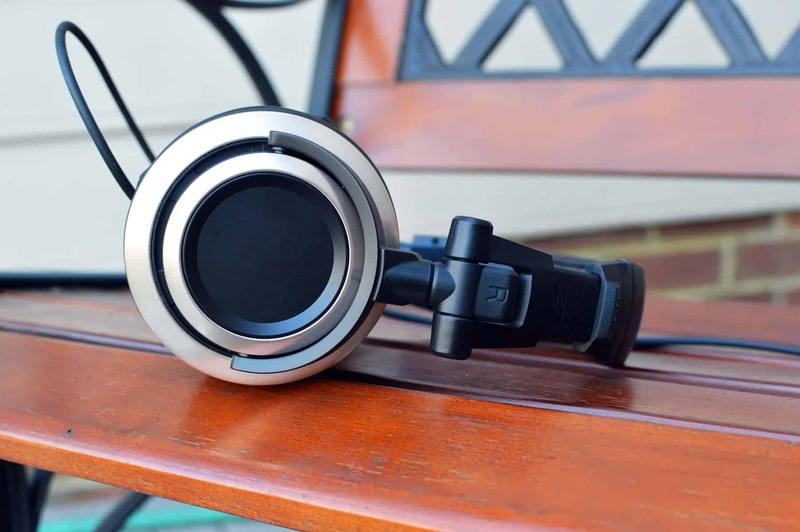 It makes the CB 1 a relatively easy purchase as a headphone that you can put on and immediately enjoy. In comparison to a V6, more of the same applies. The V6 seems less stuffy, the bass is more balanced and less bloated, and overall it’s a cleaner and more sterile sound. The V6 is undoubtedly better for reference, and the 40x is as well. The bass overall has less impact, but it’s much cleaner and more natural sounding, with background details more apparent. Though the sound is marketed as neutral and balanced, I don’t believe they quite fit the bill here. They are good sounding budget headphones for sure, but I wouldn’t personally use them to mix down a track unless it was a last resort type of situation. Excellent comfort, with good padding and a great 3.5mm jack. Metal for the outside of the cups. Enjoyable sound that will appeal to most people. Great Soundstage for a closed back model. Detachable cable is very hard to get out. Mid-range is sucked out in some spots. Treble can be metallic and essy at times. Click to see the CB 1! Folded like the Braves in the ’96 World Series. Cups so deep you can pour yourself a coffee. Not needed, but I use mine with an Oppo HA-2. How to choose a Headphone Amp! Learn more: Oppo HA-2 Review! The CB 1 would be a perfect headphone if not for a few somewhat minor quibbles. I kept thinking that the treble is good but will become kind of raspy, scratchy/metallic and it really holds them back from being the best budget closed headphones ever. Because the Soundstage is so magnificent, it’s kind of a disappointment. Still, this headphone is so cheap that it kind of becomes null and void, and I can overlook it for the price. The mid-range can sound sucked out at times, and does seem a bit distant in certain songs. It seems as though the CB 1 is very source dependent. With certain recordings, these sound almost flawless. With others, you wonder what the engineers were thinking. The detachable cable proved to be extremely difficult to pull out. Not sure why others haven’t mentioned this. The box that they come in looks and feels nice, but the shell inside is a cheap plastic. I was kind of expecting more given how cool the box looked, but I suppose you can’t expect much at this price point. The 3.5mm jack is almost identical to the original M50, and is a welcome addition given that it’s pretty much indestructible. The Status Audio CB 1 is a headphone that gets a whole heck of a lot right. Price, comfort, Soundstage, and overall sound are all very good. The inclusion of two detachable cables plus a beefy 1/4″ adapter are much appreciated as well. The treble does tend to sizzle a bit too much, and the mid-range can be problematic at times. Overall though, this is an easy recommendation at this price point. Well that’s about it for today my friend! 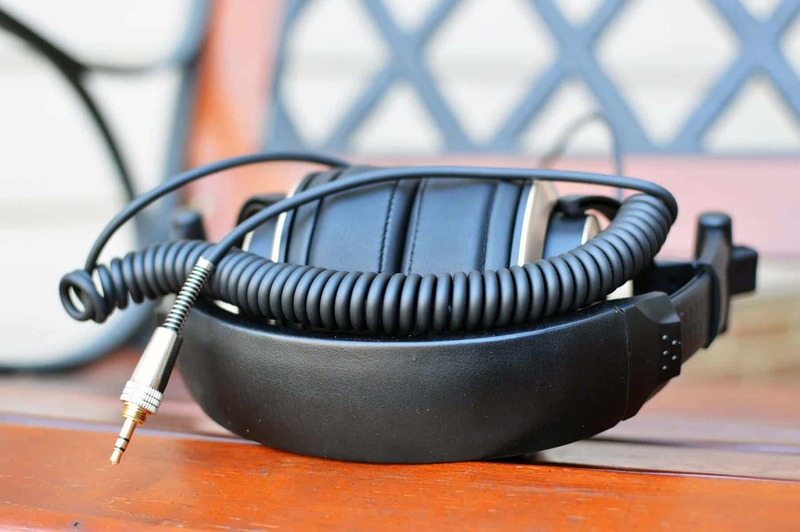 I hope you’ve enjoyed this Status Audio CB 1 over ear headphones review. Questions? Comments? Requests? Did I miss the mark on something? Please leave them down below or Contact me!! What do you think about these bad boys? I would love to hear from you. 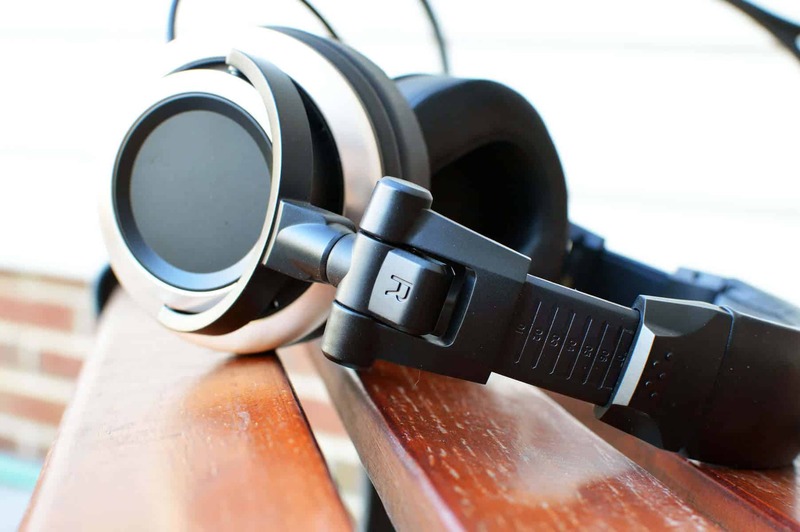 Until next time..
Sennheiser HD 201 Review | BETTER OPTIONS? Sony MDR Z1R Review: A Closed Back Can Sound This Open?